1. Am I a candidate for cosmetic dentistry? If you have any of the following problems with your teeth and smile you are a candidate- Teeth with gaps, crooked teeth, overlapping teeth, oversized or small teeth, dark teeth, protruding teeth , fractured teeth any old ugly crowns and bad composite fillings. 2. Why would someone need or be interested in cosmetic dentistry? 3. Is this treatment a surgery, or a complicated procedure, do I require hospitalization? No this procedure is not a surgery. In skilled hands it is a simple procedure. You do not require hospitalization. 4. Do I have to wear braces/clips/orthodontic treatment for 1-2 years? 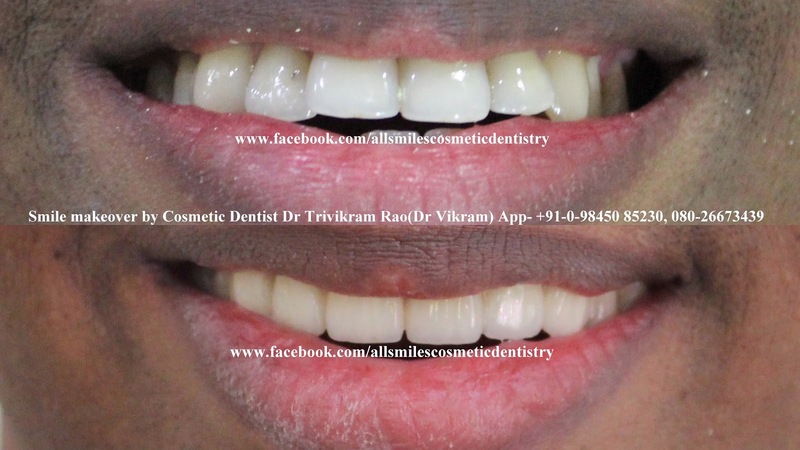 Cosmetic dental treatment is done without braces/clips/orthodontic treatment. It is done by changing the alignment, shape, colour and texture of your existing teeth with the help of ceramic/porcelain crowns/veneers. It takes only 5-7 days and 2-3 visits. 5. Are the results permanent? How long do they last? The results are permanent. The new crowns can last a lifetime with good oral hygiene. 6. Do my new crowns and veneers look natural?